This toy is brilliant from a personal point of view. 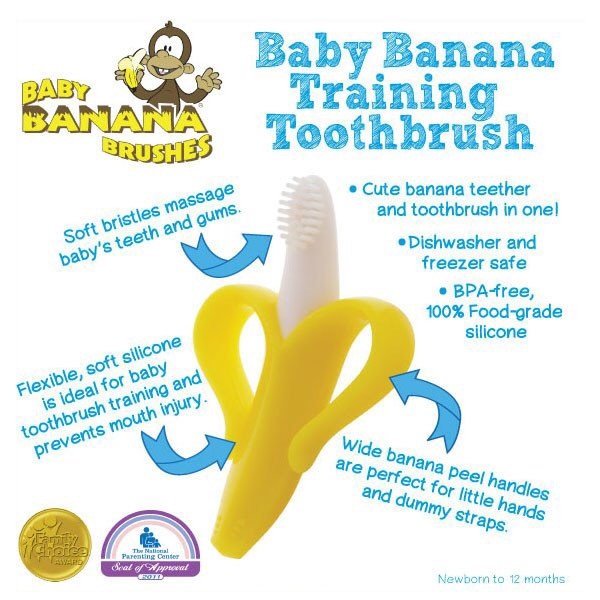 Recommended by Emma as used often by her youngest Adam, this bendy silicon banana teething toy is brilliant for babies and provides the comfort they need and it’s also easy to for younger babies to get their paws around. Emily loves it. The Bug-a-Loop teether by Nuby provides textured surfaces for baby to bite and teethe on during teething periods. The teether is engineered with raised offset surfaces that assist in the eruption of teeth by gently massaging infant’s gums. Colorful shapes are easy for baby to hold and sized for maximum effectiveness as a teether and soother. Emily loves this teether. She’s had it the longest and anytime she gets into a hissy fit about her gums, this is the one that makes her happy. We’ve recommended this teether to many friends and it’s a hit with their babies. The IcyBite™ Keys teether by Nûby™ is another innovation in the natural teething process; a toy specially deigned to encourage oral motor skills as well as providing visual stimulation for your baby. This colourful toy is also a dual surfaced teether. The Nûby™ ”keys” are constructed of a soft textured material with offset surfaces, that assist in the eruption of teeth through infants delicate gums. For sore gums, the cool part of the ”keys” soothes and stimulates safely. Colourful shapes are easy for baby to hold and sized for maximum effectiveness as a teether. All Nûby™ products are made of safe, durable materials and exceed all government safety regulations and standards. PûrIce¬™ stays colder longer than water filled teethers. Practical Parenting and Pregnancy Awards 2010/2011 Bronze, feeding equipment. It’s great for soothing gums as you can put it in the fridge. We only had it for about 24 hours as Emily threw hers out of the pram at Westwood, so we can’t comment further on it. In France 9 out of 10 newborn babies are given their own Sophie la girafe. I got this as a present for Emily from friends at my baby shower last year. It came with a smaller, easier to hold Sophie for Emily’s smaller hands. 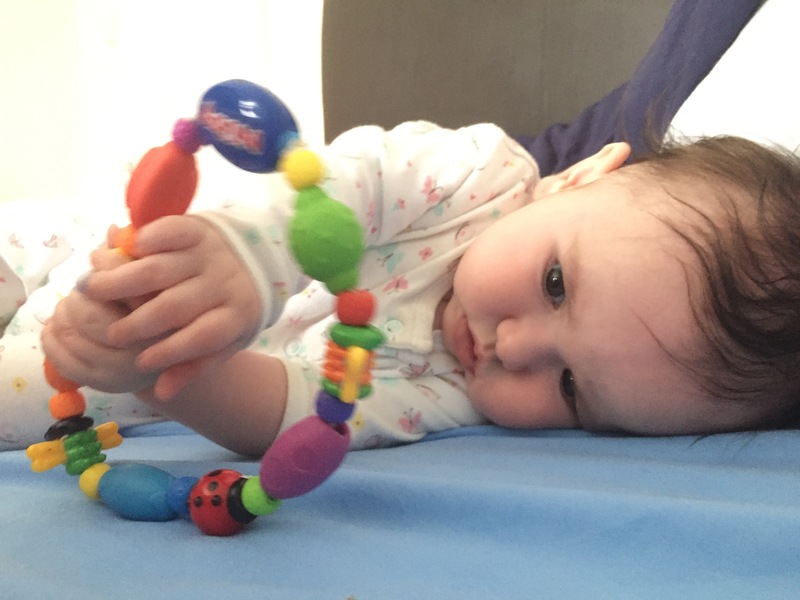 Now that she has a stronger grip, this teether is a favourite and often her pram teether. It’s very successful in assisting with her teething. Expensive but a popular choice for babies. Have you got a teething toy that your baby loves?